I'm doing well on clarinet. I feel confident. I can always use technique, but overall I feel good. I'm doing better on sax. I need a little work, but I'm proud to say I've fooled more than one sax player into thinking that sax was my primary horn so I think I've got a good sound and style concept down and can project that. After the performance of the musical, I took the money I made, and immediately put it into a reputable student flute cause I do NOT want to have sight transpose an entire part like that again when it would have been MUCH easier just to play the darned flute! How long for that consistency? How can I work on getting that consistency quicker? I've not had success hooking up with a teacher in the area, I've convinced coworkers (flute players) to give me tips, and I'm doing my best. Major troubles (like anyone else I'm guessing) are controlling octaves and partials. I know it's going to take time. But for doublers, (and if you have an underbite like I do, pictured above), what's a good place to start to figure out an optimal embouchure, and also considering that when I form a small aperture, due to my lower lip being larger and in front of my upper lip, the air stream (with a relaxed embouchure) is directed more forwards than down. It's a device to give you visual feedback in directing your airstream. Works really well. Be sure to check the Galway posts on embouchure as they are all important regardless of your experience. They make it possible to accurately nail the pitch, especially in the third register where many experienced flutists play very sharp. After decades of flute playing they have not fixed it. Without getting much into it, a smiling embouchure is "no good" per Galway. 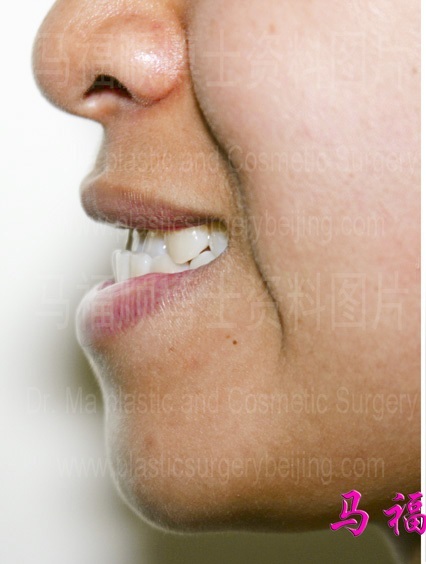 One should lower the mouth corners into a deep frown and hold the mouthplate fairly hard against the chin. Aim the air at the toes per my first teacher, Ben Kanter, who studied with a pupil of Moyse. Blow down was the message. This is really important when playing those open C#s which can be hard to control at first. Try to be accurate with fingerings per the established charts. One famous flutist said "touch metal at all times", which may not be easy. I was started with the Taffanel and Gaubert Complete Method which I adore to this day. Forgot to upload the pic. Crazy day at work. THIS picture on this post represents about my underbite size and the bottom lip sticking out past the top lip. I worked on my flute chops by playing in the local community band for about a while. That REALLY helped me! Concert band literature is a great way to work your chops. You are much more accomplished than myself. I'm sure you'll figure it out. Think about blowing into the hole for low notes and across for high notes. Although I was not one of the best saxophonists or clarinetists in college, I was almost certainly the best flute doubler. I had taken lessons and practiced a lot. It's different enough that you feel very uncomfortable at first, but just work on getting a good strong tone. If you just started you should be getting dizzy. I don't know about underbites, but my HS flute teacher's upper lip was definitely pointed in the center, and to compensate she played to the side. She was once singled out in college as "someone who should not play the flute", due to the shape of her lip. Lips are flexible. Make sure you are holding the horn still (which may be harder because of the LH index finger position and thumb levers - and/or your bite), and that you are comfortable leaving the first finger up for D, and are holding the Eb key down all the time. Sorry if all that is painfully obvious. Take the flute to a good repairman. I struggled for years and years with my low notes, only to realize decades later in repair school that my foot tenon was obviously leaking like a canyon. I've taken two lessons, and will continue to try to take weekly 1/2 lessons. I've fixed a couple things with the teacher. I THOUGHT I was positioning the tone hole correctly, but it was too far rolled in. It's now much flatter. Due to my lower lip, we've decided that it's best for me to put the lip plate on the red of the lower lip (not just beneath it like someone with thinner lips might do), and to push gently against the thick lip making it a sort of "pad" for the lip plate. I'm VERY happy with my lower notes and the resonance I'm getting, but I'm still hit or miss with the upper notes. I THINK my aperture is a little too big, and also I need to feel more comfortable directing the air. There are moments of me being able to play the range nicely and fully, and being able to alternate between lower and upper registers of a certain note easily, but those moments are few, far between, and brief. [bBUT those moments have happened, so I know it's POSSIBLE, and I just need to analyze what made it happen the next time it happens so I can try to replicate it. BJ, I'm definitely going to do the community band thing. Probably will practice until I leave GA in 2018 and do a community band wherever I go to next to keep working on those flute chops. Matthew, even though your advice is stuff the teacher did tell me, that doesn't mean it is easy to do! That first finger up on the D and Eb is such an easy concept, but my muscle memory is REALLY making it hard for me! I need to consciously think of it EVERY time I transition to those notes! If your aperture seems too large, try some attacks on notes using puh as the sylable. This will start the attack with a very thin aperture. Air is wasted if the aperture is too large. An expert teacher would be a good idea, to avoid developing bad habits. Many persons teach the flute, but do not necessarily know how to play it in tune. It would be a good idea if you get to play in a band to not try the piccolo until your flute embouchure and playing is well established. A well meaning but out of tune piccolo player can seriously detune a large concert band, which can be easily heard by the audience. To play high notes, the aperture is shortened and rounded. If you play across the mouth hole, sharpness is likely to result. May I respectfully suggest that you review my previous post on playing the flute. Take the frowning embouchure recommendation seriously. Good luck! Yup. I'm definitely finding that my aperture is generally large and the times I feel good about my playing, my aperture is much smaller. > know how to play it in tune. Thankfully my flute teacher is AWESOME! I mean, truly amazing. Symphony player and well-deserved of the spot.